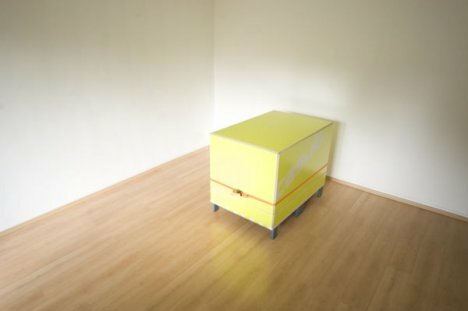 Your Apartment In A Box | OhGizmo! Don’t believe it’s possible? I didn’t, until I saw the video (after the jump). It’s an award-winning concept, but not something that desperately poor students (or just bums like me) seem to be able to purchase yet. What’s the purpose of those things wrapped around the ends of the bookshelves?